President of the Carnegie Corporation of New York Vartan Gregorian has been a force in supporting education, while John Faraci, chairman and CEO of International Paperhas, has been a pioneer in Russian-American business ties. 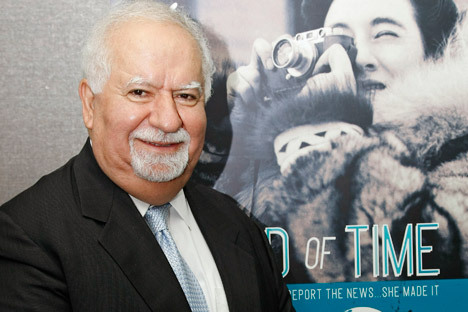 When Vartan Gregorian was ten years old, the only books he had were Armenian translations of Russian literature. Gregorian is president of the Carnegie Corporation of New York. He received the award in recognition of his deep contribution to Russian-American relations and his continuing support of Russian education through Carnegie partnerships. Gregorian is an internationalist who was born in Tabriz, Iran to Armenian parents; he went on to university in Lebanon and in 1956 went to Stanford University, where he received his doctorate in 1964. Gregorian received the award at The Kathryn and Shelby Cullom Davis Awards Dinner, an event created to increase public awareness of individuals—in public and corporate arenas—who are advancing the U.S.-Russian relationship. The Woodrow Wilson Award for Corporate Citizenship went to John Faraci, chairman and ceo of International Paper. IP is celebrating its fifth anniversary in Russia in its joint venture with the Ilim Group. IP also purchased the Svetogorsk Mill 14 years ago. The mill is also marking its 125th anniversary this year. William Burns, U.S. ambassador to Russia from 2005-2008, was featured in a short film before Faraci took the stage at the event. Burns said he “greatly admired Faraci’s leadership” in Russia and believed that together they had made great inroads in establishing business ties between the two countries.